As an Android Smartphone user, I believe gaming is also one of the many things you do with your Android Smartphone, if that's true then you must have downloaded and played the very popular Subway Surfers game on your phone. But if you are yet to play this game then that means you are not really the gaming type or maybe you're just not lucky enough to come across this game in the Playstore. Recently, Subway Surfers has become one of the most popular games in Google Playstore which ensures the running game is always on the top spot in the Game category. The Game play is so simple... Run, dodge, collect coins & bonuses and above all save yourself from the Inspector and his Dog. The frequent updates being rolled out for this game has increased its demand more than ever. Interestingly, every update does not only change the outfit of your player but also the Inspector and his dog and this time, Kiloo, the developer of Subway Surfers has made its way to Venice even though the Rio update is out already. 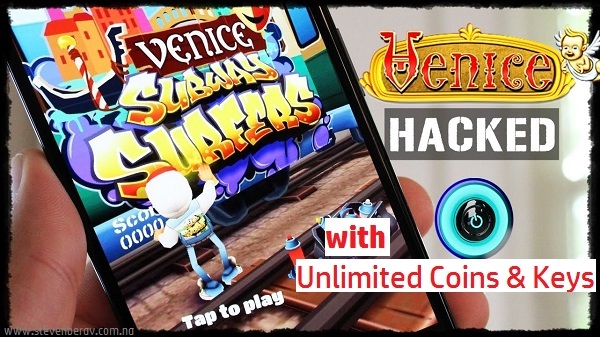 To give you more ease in this game, we have provided you the Subway Surfers Venice H@ck which will give you Unlimited Coins And Keys to purchase anything and continue the game however you like, you can even increase your high score with this new h@ck and show off to your friends on Facebook. 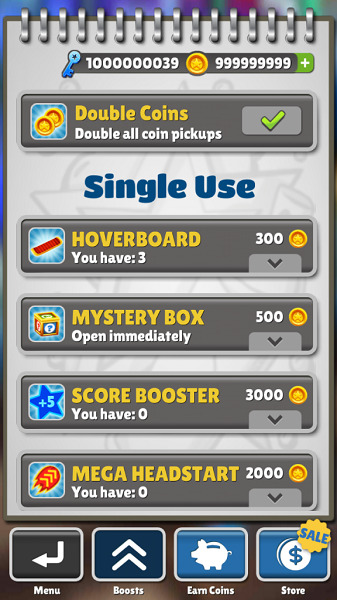 Yeah, you don't have to collect thousands of coins before you can unlock that classic hover board you like nor do you have to collect keys to unlock the character you like most and keep the game going. Isn't this interesting ? Sure, it is. 1. Download the Subway Surfers 1.41.0 MOD APK here –-> Download Here OR Mirror. 2. You can download it directly on your phone, or download it on your PC and transfer it to your phone’s storage. Whichever one you are cool with ! 3. Remove any previous version of the Subway Surfers you have on your phone. 4. Open the downloaded APK file on your phone, select the package installer and complete the installation process. 5. Run the game, you should now have your unlimited coins and keys, just as shown below. That's all for now ! Have you downloaded the game from the link provided above ? Have you seen your unlimited coins and keys ? I'll like to hear from you, the comment box is available for all your comments. You can also subscribe to our FREE email updates by filling the subscription box below to start receiving our new updates directly into your mailbox. Don't forget to share this post with others, sharing is caring !